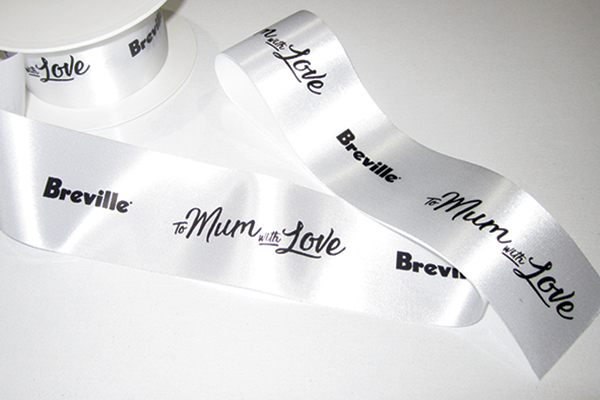 As an adjunct to our ribbon manufacture, Curry Ribbons prints with metallic and coloured foils on either our Five Star polyester satin or our double faced satin ribbon in a wide range of widths and colours. Our custom designed machinery allows for quick turnarounds on both large and small print runs. 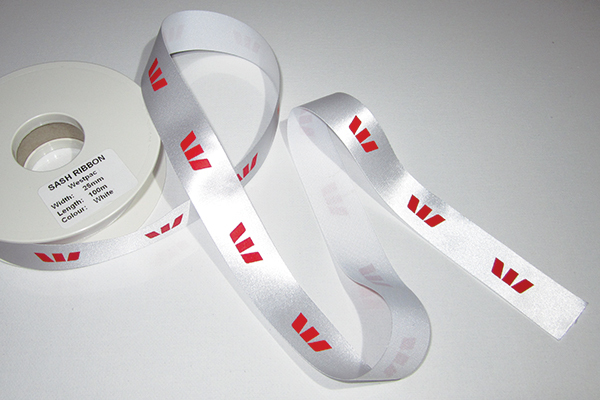 Printed ribbon looks great and has many uses in packaging and promotion of corporate image. Names, with or without accompanying logos, can make all the difference in distinguishing a product from its competitors and giving it a unique presence in the marketplace. Quick Delivery! We stock a wide range of ribbons in Australia.